***Nissan Murano AWD Platinum*** 3.5L V6, Technology, Navigation Pkg, Extra CLEAN, JUST Traded!! 1-OWNER... PLATINUM Edition... JUST Traded!! 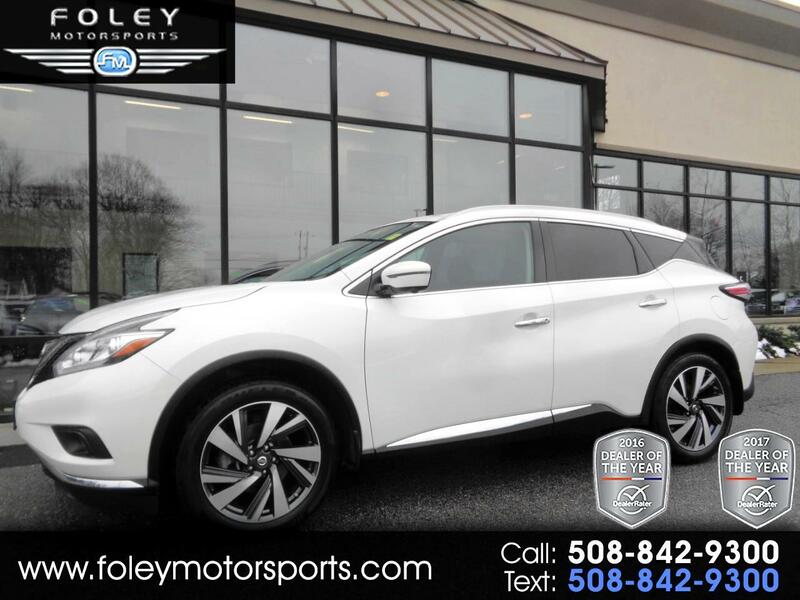 2016 Nissan Murano Platinum AWD Sport Utility... Pearl White on Brown Leather Interior... 260hp 3.5L V6 DOHC 24V Engine... ALL Wheel Drive... AUTOMATIC Transmission... Very CLEAN... Recent TRADE-IN... Nissan BUMPER to BUMPER Warranty Coverage... ONLY 38,150 Miles!! LOADED with TECHNOLOGY Package including Panoramic Sunroof, Adaptive Cruise Control and a Forward Collision Warning System with Automatic Emergency Braking... NAVIGATION System... 360 Degree Parking CAMERA... 20'' Machined Aluminum ALLOYS... HEATED and VENTILATED Front Seats... HEATED 2nd ROW Seating... BLUETOOTH Hands-Free Phone... NISSAN Intelligent KEY w Push Button Ignition... 60/40 Split Fold Down Rear Seats... BOSE Premium Sound... Sirius SATELLITE Radio and much more!! Please feel free to contact our experienced sales team with ANY questions or to Schedule a Test drive. Buy with Confidence from the Area Leader in PRE-OWNED LUXURY!! ADDITIONAL 5 YEAR/100K EXTENDED WARRANTY COVERAGE AVAILABLE!! ALL of our Vehicles are Meticulously Detailed & Serviced by Our ASE Certified Technicians!! Call us or Email us at sales@rjfoley.com **$0 Down** 100% Financing Available with Great Rates!! Trades Always Welcome!! National and International Shipping Available.